Get the right person to the right job at the right time. Dispatch Calendar is now included in our Professional Plan. Do you wish you could see when jobs are completed so you can assign the next one to an available employee? With Dispatch Calendar, frontline task management data is unlocked and presented in an easy-to-view and manageable format. Stop wondering if a job was completed and sifting through rows of data to find out. With Dispatch Calendar, all the information is right in front of you. Create a task with customer and job information to dispatch immediately or fill out at a later time. Assign jobs to available technicians and reassign as schedules change to fit more jobs in one day. Filter jobs by statuses and view completed tickets to action them immediately by scheduling a follow-up appointment or creating an invoice. Now, GoCanvas puts it into the hands of all businesses, small or large. Directions are just a couple of clicks away when using GoCanvas. 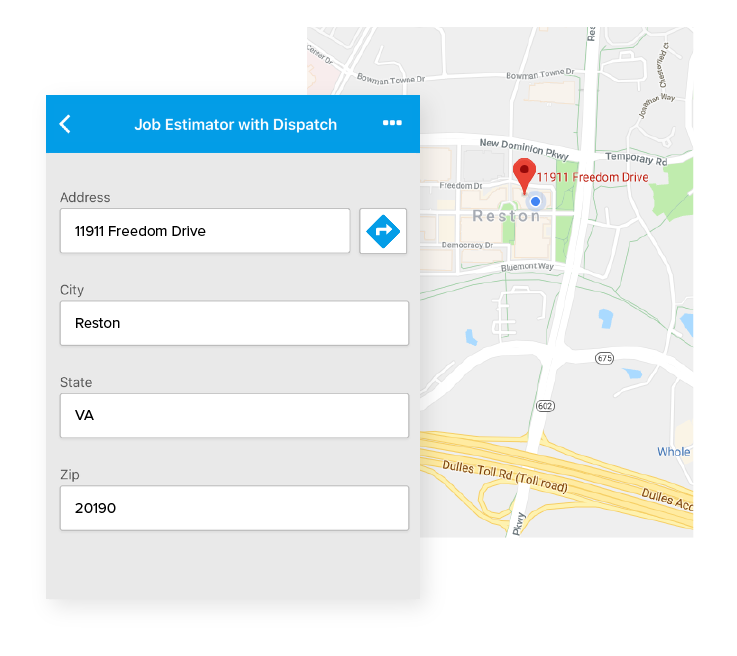 Mobile users can click a button to get directions to the address that has been dispatched to them. This launches their map app (Google Maps, Apple Maps, Waze) and they can tap the "Get Directions" button to get turn by turn directions. 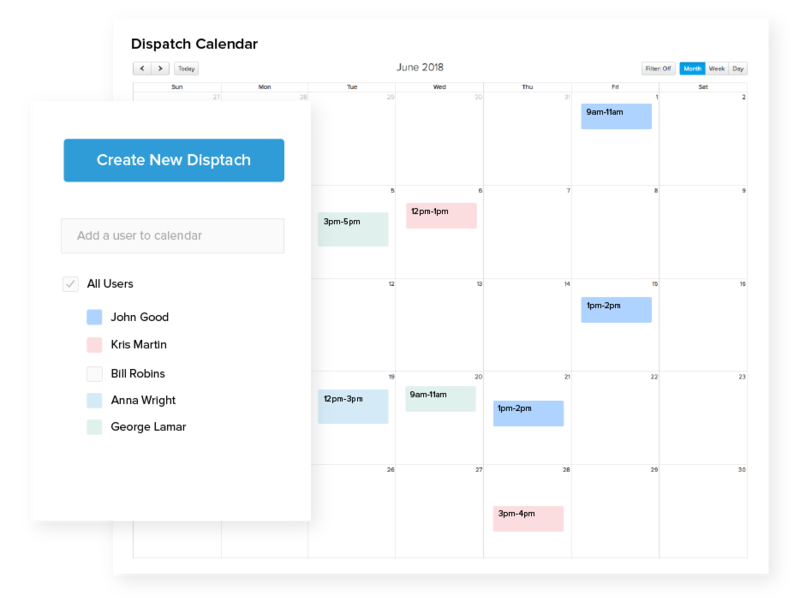 Dispatch Calendar allows you to leverage the power of the GoCanvas Dispatch functionality in a way that helps your business perform even better.